Note, offer valid only for the items listed below or linked the eligible offer. 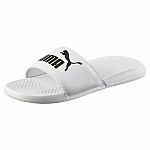 PUMA has extra 40% off on select sale items with code "GOODS19". Shipping is free (Sign in) your account to see free shipping. PUMA has Extra 20% Off Sale with code "EXTRASALE". Shipping is free. 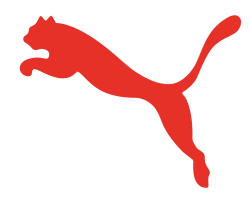 PUMA has sale items for up to 60% off with promo code "SPRING19". Shipping is free. PUMA takes an extra 20% off sale items, via coupon code "SALE20". Plus, get free 2-day shipping when you log in to your PUMA account. (Don't have one? It's free to sign up.) Some exclusions may apply. PUMA has extra 20% Off Sale with code "SALE20". Shipping is free. PUMA has Up to 70% Off Private Sale with code "SECRET". Shipping is free for My Account member (free to join ). PUMA takes up to 70% off as part of its latest Private Sale, with prices as marked. Plus, get free 2-day shipping when you log in to your PUMA account. (Don't have one? It's free to sign up.) Deal ends February 19. PUMA takes 50% off a selection of its PUMA men's, women's, and kids' shoes via coupon code "LEGENDARY". Plus, My Account members receive free 2-day shipping. (Not a member? It's free to join.) Some exclusions may apply. Deal ends February 15. 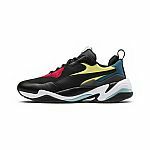 PUMA has select sale styles from $19.99 with code "LEGENDARY". Shipping is free. 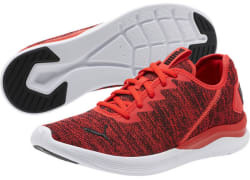 Ending today, PUMA offers its PUMA Men's Ballast Running Shoes in High Risk Red/Black for $34.99. Coupon code "GOODFORTUNE" cuts that to $25.19. Plus, get free 2-day shipping when you log in to your PUMA account. (Don't have one? It's free to sign up.) That's the best price we could find by $16. They're available in sizes 7 to 14. 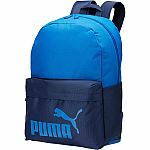 Ending today, PUMA offers its PUMA S Backpack in Steel Gray or Orchid for $19.99. Coupon code "GOODFORTUNE" drops it to $14.39. Plus, get free 2-day shipping when you log in to your PUMA account. (Don't have one? It's free to sign up.) That's $28 off list and the lowest price we could find. (It's also at least $23 under what PUMA charges for other colors.) It features a two-way zipper main compartment, side mesh pockets, and padded adjustable shoulder straps. 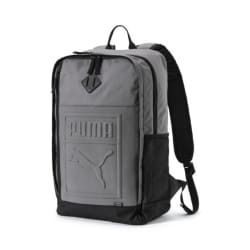 Ending today, PUMA offers its PUMA S Backpack in Steel Gray or Orchid for $19.99. Coupon code "GOODFORTUNE" drops it to $14.39. With free shipping, that's $28 off list and the lowest price we could find. (It's also at least $23 under what PUMA charges for other colors.) It features a two-way zipper main compartment, side mesh pockets, and padded adjustable shoulder straps.